The Sleep Inn and Suites Medical Center hotel in Shreveport, LA will give you a simply stylish experience. 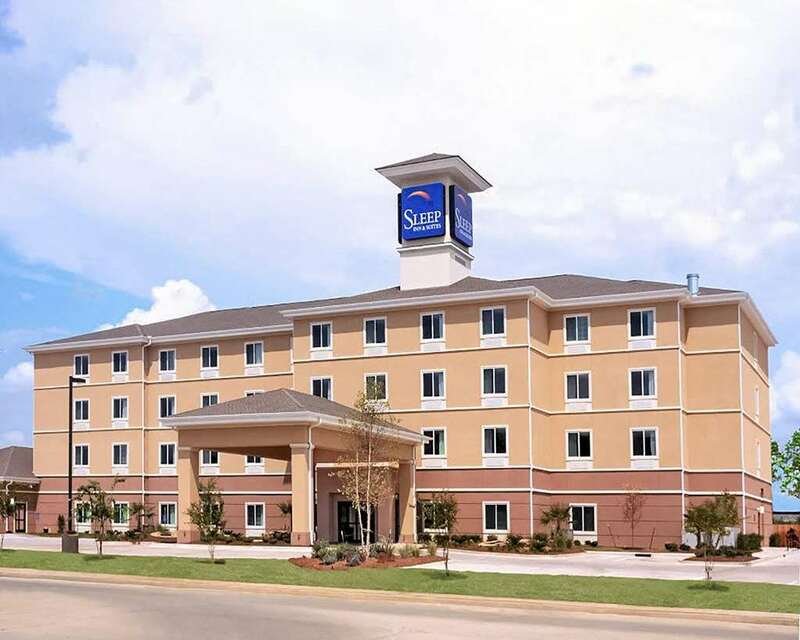 Located off I-49 at Kings Highway, our smoke-free hotel is close to attractions like Louisiana State University in Shreveport, Louisiana State Exhibit Museum, Downtown Historic District, Independence Stadium and Hirsch Memorial Coliseum. Enjoy free breakfast, free WiFi, a fitness center and a meeting space and business center with access to copy, print and fax machines. Your guest room offers warm, modern designs, and includes a flat-screen TV, coffee maker, hair dryer and desk. Also, earn rewards including free nights and gift cards with our Choice Privileges Rewards program.